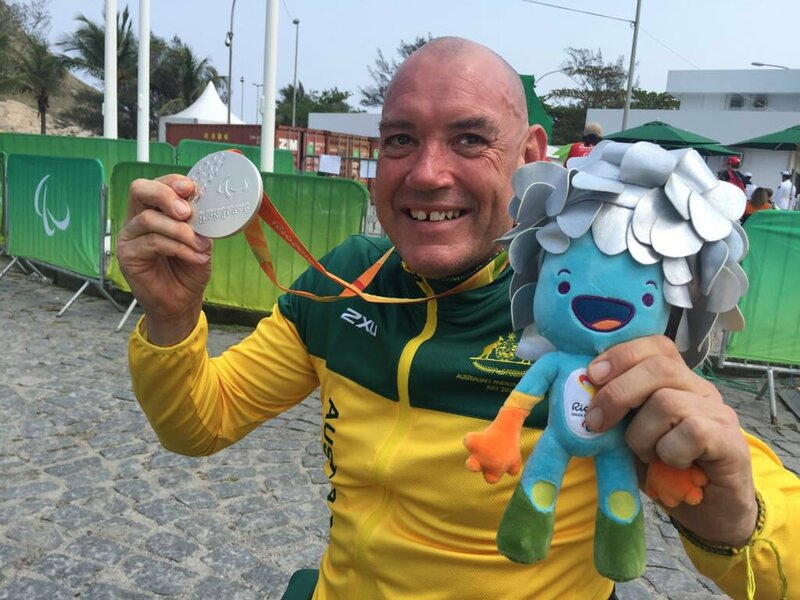 Stuart Tripp describes what he does with two words: ‘go hard’, and that was the attitude he took with him all the way to a silver medal in the men’s H5 Class Handcycling Time Trial at the Rio Paralympics on Wednesday night. Taking to the course first, Tripp set a time of 28:39.55 to finish just 2.74 seconds behind Italy’s Alessandro Zanardi. The silver medal is Tripp’s first Paralympic medal. listens to his wedding playlist on the way to competitions and says his wife is the most influential person in his life. The road to the podium has been a long one for Tripp. 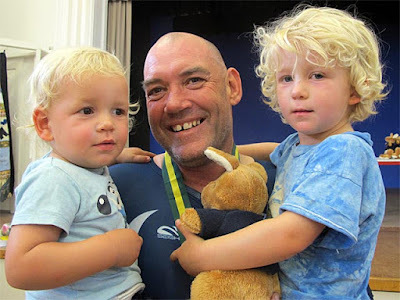 He first took up cycling in 2003 as part of his recovery from a car accident that left him in a coma for several weeks and resulted in the amputation of one of his legs. Before getting on the bike Tripp was drinking and smoking two packs of cigarettes a day to help cope with the depression he suffered as a result of his accident, but cycling turned his life around. The year after he started cycling Tripp competed in the New York Marathon finishing 26th out of 80 riders. He first represented in Australia in 2010 and Rio is his second Paralympics. Prior to the Paralympics, Tripp said his proudest sporting achievement was when he fought back to finish eighth in the 2011 World Championship Road Race in Denmark after being involved in a crashed that knocked him out of his bike. “Knocked out of my bike, I crawled across to my bike, righted it, made sure it worked, got very angry, got back in my bike and started to chase. “I caught one person on the next lap and we agreed to work together to catch the rest. On the 6th Lap we caught three more and then on the 7th lap, 800m from the finish we caught the three remaining riders. The never-give-up attitude was again on display three years later at the UCI World Cup Time Trial event in Spain where Tripp finished second after overcoming losing 40 seconds when he ran off the track. Tripp graduated from Monash University in 2000 with a Bachelor of Adult Learning and Development and said the best part about his time at Monash was getting the opportunity to study while he was healing from his accident. As well as being a qualified plumber Tripp has a talent for writing and his book, ‘Travelling Hopefully’, about his journey through life was published in 2007.